Home » Annual Event » Happy Birthday Overseer James E. Chandler, Sr. Happy Birthday Overseer James E. Chandler, Sr. Marvelous Light family and friends, February is Overseer Chandler’s birth month! Join us Sunday, February 17th when we celebrate our leader during our 4:00 PM worship service. Guest speaker is Pastor Clifford McFarland of Grace Baptist Church in Stockbridge, GA. Marvelous Light family and friends. February is Overseer Chandler’s birth month! Join us Sunday, February 17th when we celebrate our leader during our 4:00 PM worship service. Guest speaker is Pastor Clifford McFarland. The year was 1969 when little James, on his 3rd birthday received a beginners drum set from his mother and father. Down in the basement of their Colorado home it became quite clear that the love and gift of music was alive and well in this little fireball for the Lord. The third of four children, he (like all of his siblings) received piano lessons from his mother. Since then his playing and singing has grown exponentially. While growing up in his father’s church he was allowed to exercise the gift of music by playing the drums for the church until he was 13 years old at which time he then became the church pianist. While still a child, Pastor Chandler started singing professionally with his brothers and sisters. They traveled all over the mid-west performing and dancing for a variety of programs and functions. To this day, he still holds the title as the youngest soloist at Bethlehem Baptist Church in Pueblo, Colorado. During this live recording he led the church youth choir in a powerful rendition of “Happy On My Way”. He was only five (5) years old at the time and he tore the house down! Also, at the tender age of five, Pastor Chandler’s felt the calling of the Lord on his life, which he finally accepted during his sophomore year in high school. High School is also where he met the love of his life. James Chandler was married to the beautiful Kelly Jena (Manning) Chandler and together they have raised three impressive children: Kayla Elaine, James Ellington Jr., and Jonathan David. Pastor Chandler still tours professionally, singing and preaching. He also conducts state and regional workshops throughout the United States and lends his vocal talents for major gospel recording artists. 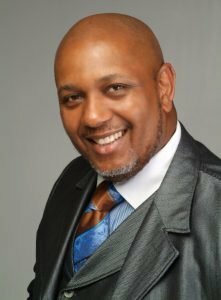 Pastor Chandler has also written many gospel selections and has released three powerful CD’s “YES, Live” (2000), “My Year of Increase” (2004) and most recently Chanz Heart (2010). Pastor Chandler is also a gifted actor and playwright. He appeared in the major drama production “Fix Me Jesus” with recording artists Dottie Peoples, James Bignon, and Dreyfus Smith. Later, he wrote, directed and starred in two plays of his own; “A God of a Second Chance” and “It’s Another Day’s Journey”. His most recent theatrical accomplishment is a two part production called, “The Hill and The Hill-PartII”, which he wrote, directed and produced. Pastor Chandler says, “Writing plays is a powerful and enjoyable venue for the Word of God.” Thousands of happy theater goers who have been blessed by his productions agree. James E. Chandler, Sr. has also released two new books: “Walking Into Your Destined Wholeness” and“Working My Way Back Home”, the later publication is also available as an audio book. James E. Chandler, Sr. is also the Pastor and Founder of Marvelous Light Christian Ministries (a non-denominational, mulch-cultural church) and he is the sole proprietor of Chan Ministries. His passion for excellence is evident. His preaching style, music ministry, theatrical productions and organizational gifts are uniquely his own and offered fully to the Lord for His glory. It’s only when God’s name is glorified can we then bask in His goodness and mercy. God alone, deserves all the praise! — Pastor James E. Chandler, Sr.